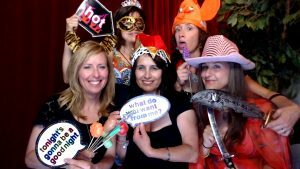 Making your event unique can be quite challenging. 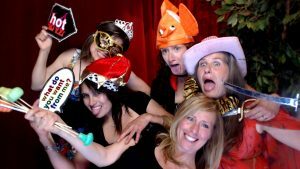 Whether its a wedding, family party, birthday, company event or any other large or small scale event you are planning, our photo booth rental is a perfect way to accomplish this. 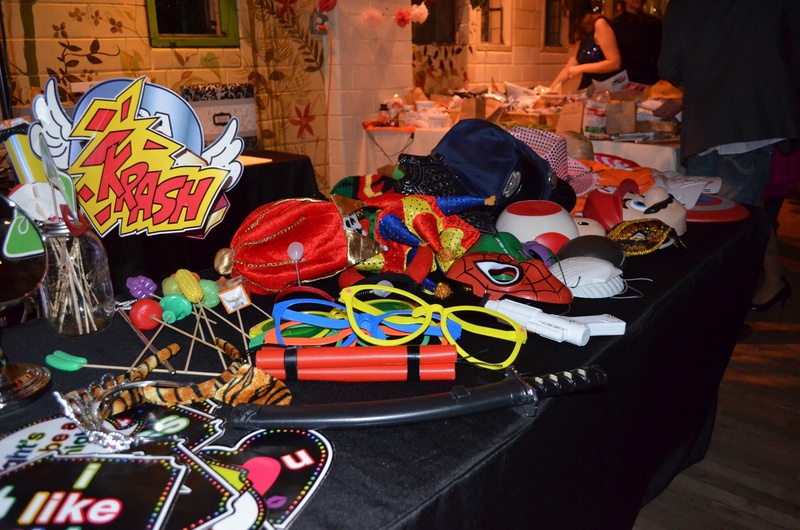 Picture Perfect's photo booth prop table ready for use! 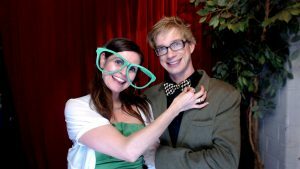 Vanessa, from NOOCH Vegan Market, invited Picture Perfect to her annul Vegan Prom Fundraiser for the second year in a row! 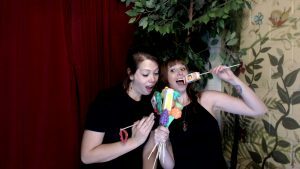 We packed up our open air photo booth, and headed to the Mercury Cafe for this evening affair. 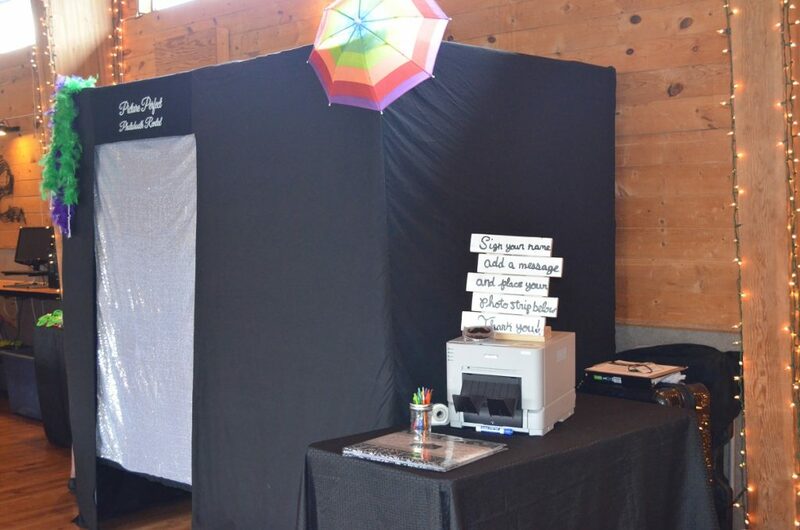 Vanessa and her team decided on a custom backdrop for the rental, creating a unique look for the photo strips. 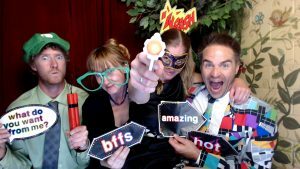 The guests could dance all night to the live band, participate in prized raffle drawings, and, of course, use the photo booth to their heart’s content! 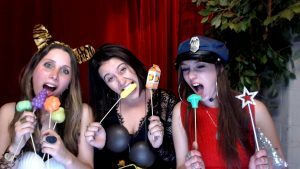 We even supplied the guests with vegan themed photo booth props to ensure a fun filled evening. 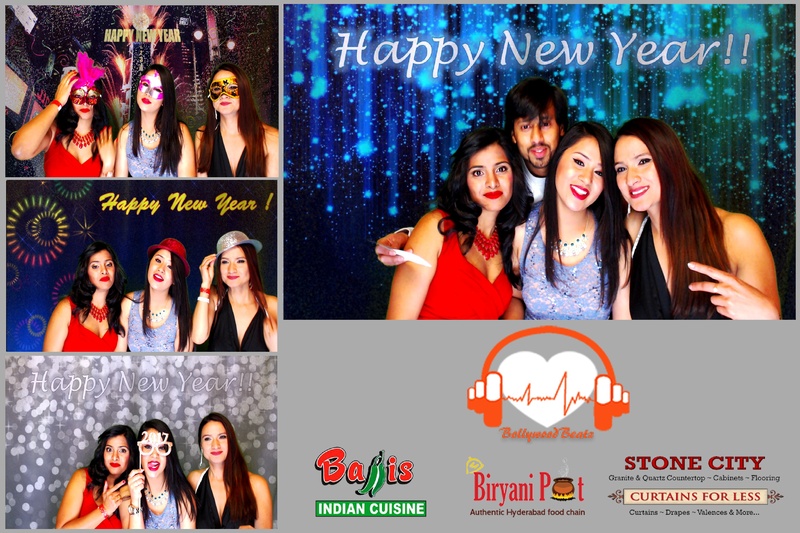 Check out these great shots from the open air photo booth! 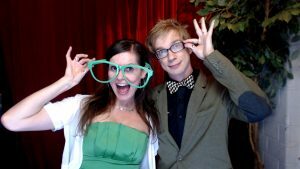 Vanessa, Thank you for inviting Picture Perfect to partake in this extravaganza! We can’t wait until next year!! 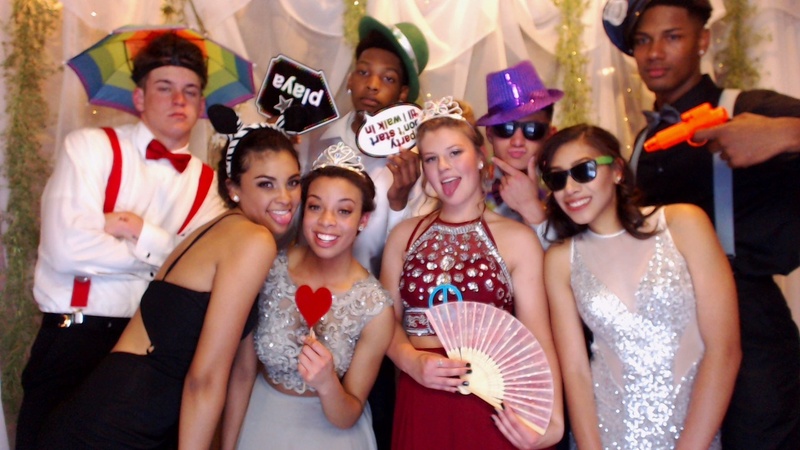 When you think about Prom, the first thought is usually how to not freezing in the Colorado weather (even in late April!). Well, thankfully, the Cheyenne Mountain Resort, in Colorado Springs, has a similar thought on their minds, thus resulting in their heated entrance. The interior of the resort mimicked the exterior of the building with an Ohio Rubble style design that gave the resort a lovely earth feel to compliment the mountainous terrain surrounding the resort. When you are dropped off or escorted out of the car, truck, or limousine you’ll be greeted with heat instead of an artic breezes. When the Air Academy asked us to be a part of their Prom it brought joy to my heart. Getting to watch teens enjoy a night of beautiful clothing and wonderful people is always a great experience. 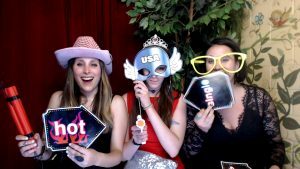 Picture Perfect Photobooth Rentals was graciously invited back to The Manor house in January to celebrate the Starke couple for a lovely winter evening in the foothills. We were astounded by the 8,000 square-foot Manor House. It’s a glorious, white mansion that looks so inviting that you’ll feel as if you’re royalty. Speaking of royalty, did you know President Theodore Roosevelt stayed at the Manor House on October 24, 1916? When I heard that I felt so small in this huge, lavish house. 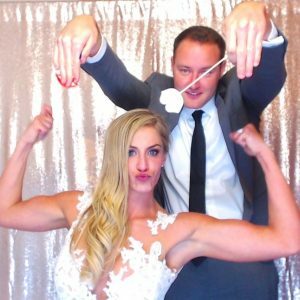 The staff quickly welcomed me and my photo booth, and pointed me in the direction where I would be setting up my open-air photo booth for the wedding. The room itself seemed huge! Once guests began to arrive and mingle, a crowd formed around the open air booth. 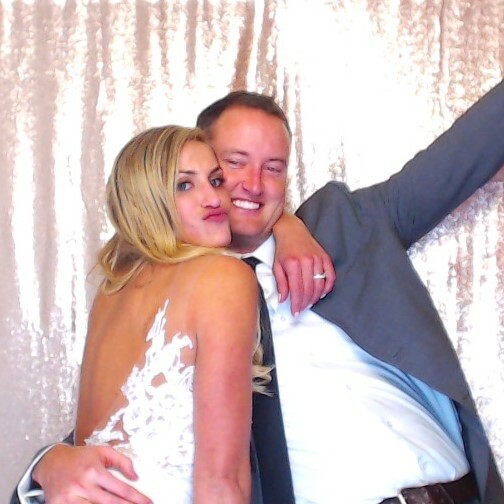 Thinking about having a photo booth at your next special event? 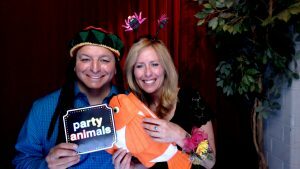 Wanting to spice up your event with an add-on that all your guests will remember? 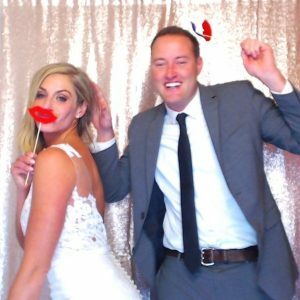 A green screen is an entertaining option that will give you and your guests a chance to use state -of-the-art technology that allows a seemingly endless selection of digital backgrounds. 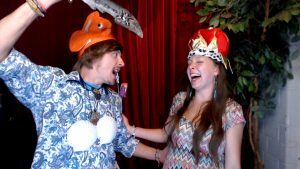 Here are four reasons a green screen would be a great addition to your special event.